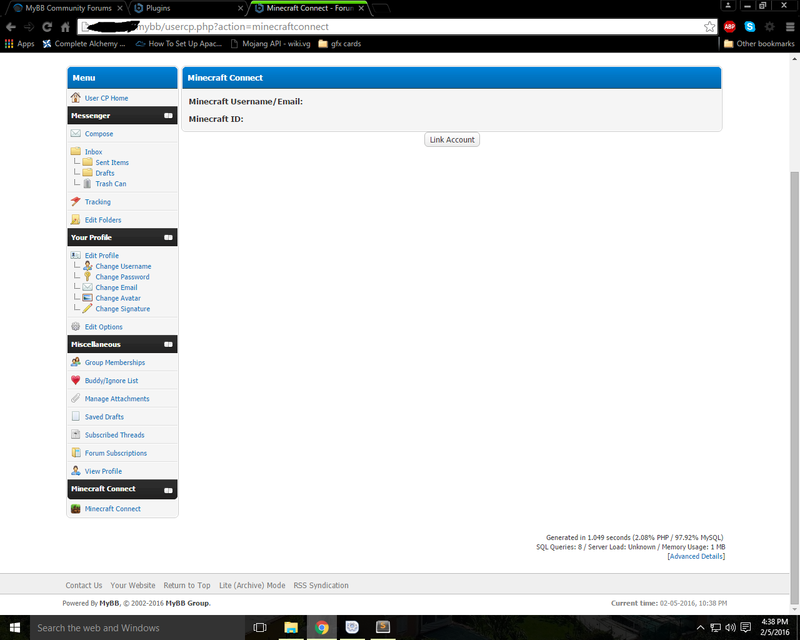 Lets you login to MyBB with your Minecraft account. Minecraft Connect will let you login to your MyBB forum with your Minecraft/Mojang account details! 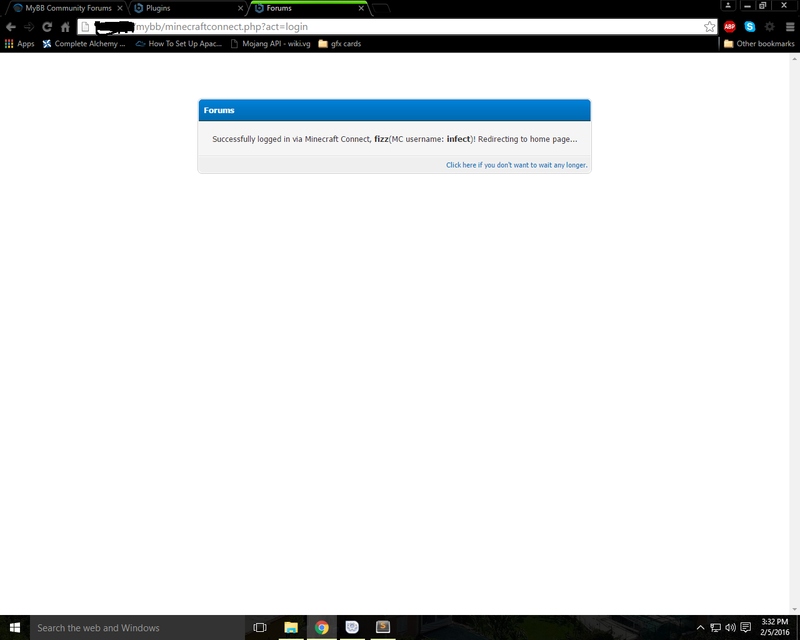 All you need to do is add link your Minecraft account to your MyBB account in the UserCP and then you're good to go! Registration with Minecraft planned for future release. Please donate so I can keep making plugins! Valid CA root certificate bundle on your server. This is to secure our connection to Mojang and block Man-in-the-Middle attacks. View installation section below if you need to install one. Unzip the file into your MyBB root directory. Install from ACP as you would any other plugin. , (change PATH/TO to your actual absolute path to the file) save and restart your server and you should be good to go. If you can't figure it out post in here or a support thread, or honestly just do a simple Google search and it should be pretty straightforward. 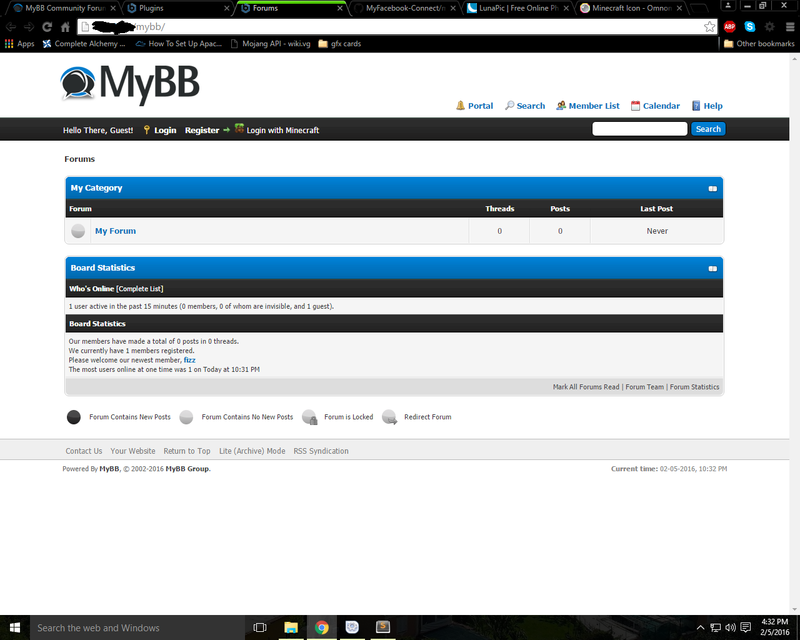 Login with your MyBB info like normal. Credit to [email protected] for making the initial MCAuth wrapper. Please report any bugs in the plugin support forum or this plugin's release thread.